Surya's forthcoming film, 'Maatran' is getting ready to hit the screens soon. 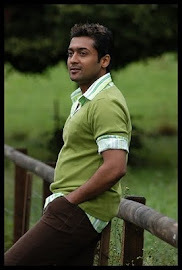 Surya will be playing the lead role in the film. Latest news says that Kajal Agarwal has been roped in to play the female lead. The title 'Maatran' has a tagline attached which says 'sometimes the end, is just the beginning'. The movie is being directed by K V Anand. Director KV Anand is coming up with his most favourite people Surya, Music director Harris Jayraj and writer Suba again after Ayan. Maatran is shaping under the banner of AGS Entertainment of Kalpathi S Aghoram.